Henry Hunt rouses the rabble. So anyway, I’m a big fan of Mike Leigh. He’s the British director of films like “Happy-Go-Lucky”, “Vera Drake”, and “Secrets & Lies”. His early movies usually centered on working-class families and the tragedy of the British “stiff upper lip”. Personal feelings remain bottled up until they boil over, usually in the third act, to great effect. The first movie I saw of his was the 1976 TV movie “Nuts in May”. My buddy Tillman and I watched this together and we just about died. It features two irritating post-hippies whose trip to the country was disturbed by normal people. There was plenty of trademark Mike Leigh cringe performances and highly quotable inanities. I absolutely loved it and later rented every Mike Leigh DVD they had at at the local video shop. Nowadays Leigh has some money and some clout in the industry. He can do what he likes. I really liked his big productions of “Mr. 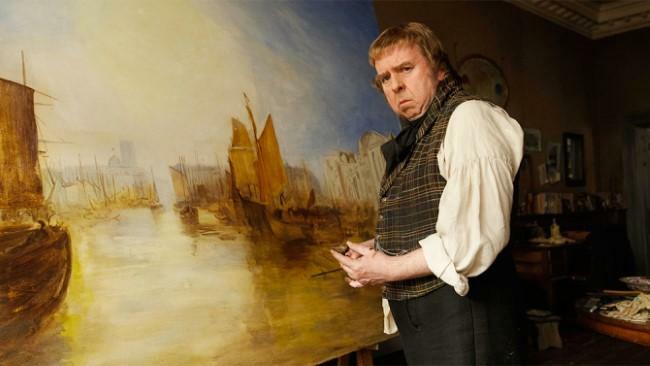 Turner” (a biopic about the landscape painter) and “Topsy Turvy” (a biopic about Gilbert and Sullivan). His latest movie “Peterloo” should have been amazing. 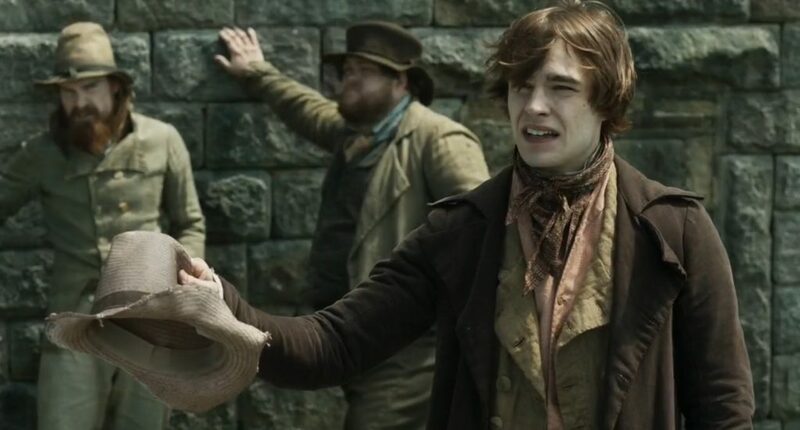 It’s a history film about the violent suppression of factory workers in Manchester in 1819. The subject matter should resonate with all of us: the people of Manchester were disallowed representation in Parliament by a form of gerrymandering. Then, protectionist “Corn Laws” caused bread costs to skyrocket while the recent war (against Napoleon) gave factory owners an excuse to drastically cut wages. This triple-whammy was unendurable. It’s the kind of vulture capitalism that gave Marx and Engels some grand ideas. The workers staged a peaceful protest and for their trouble they were routed by the police and military, resulting in the deaths of 18 unarmed men, women, and children, and the injuries of hundreds more. 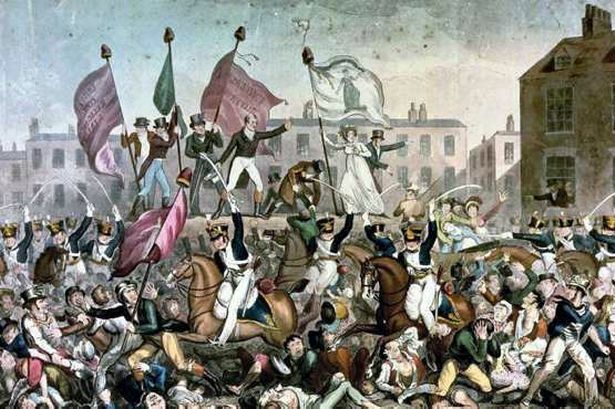 Peterloo was a very important event that most of us haven’t heard about. It’s a story that should be told. 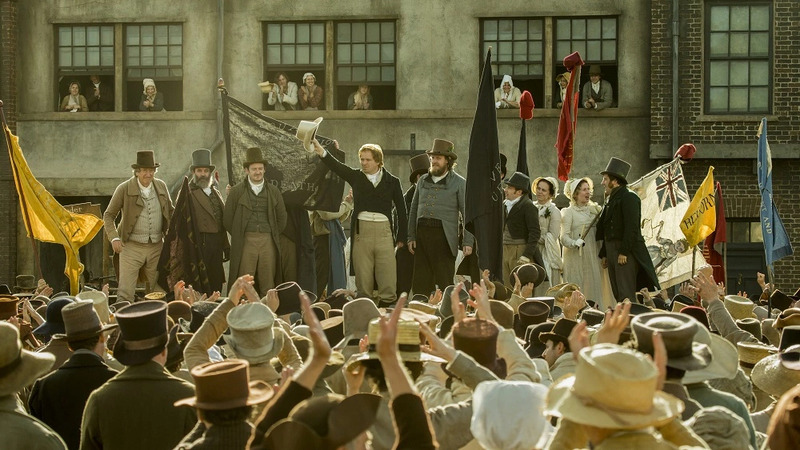 What an inadequate portrayal of Peterloo might look like. So Mike Leigh, the cinematic champion of the working class, took this responsibility very seriously. Maybe too seriously. Now, most of us roll our eyes when a period piece uses dramatic license to alter events. With that in mind, Leigh did everything in his power to portray the history with as much passionate detail as he could. Yet the result is something worse than either an abridged drama or a documentary. It’s bloated and boring. For instance: in the film, famous orator Henry Hunt comes to Manchester to speak at the protest. Upon his arrival he is informed that the protest was delayed by a week and he would have to stay over. This results in 20 minutes of unnecessary expository on how Henry Hunt filled out that week. The plot grinds to a halt. It would have been OK to have Hunt arrive, spend an evening colluding with the protest leaders, then segue right into the protest. But I guess that wasn’t accurate enough so we had to sit through 20 minutes of bickering. And then there’s the grandstanding speeches. From the first rumblings of discontent to the stage of the big protest, we are knocked about the skull with one huge grandstanding speech after another, seemingly in rapid succession, with no end in sight. After the 8th or 9th sabre-rattling soapbox oratory, I was wanting to support the snobby aristocrats. Will someone PLEASE stop all this speechifying? I suppose Leigh was doing this to set the tension for the events of the massacre. That is certainly fair, but I think an aggressive hand in the editing room could have made the film tighter without sacrificing emotional impact. The massacre itself was shot without much cinematic gravitas. Mike Leigh is not an action director and it shows. The lackluster staging doesn’t outrage the viewer. These were mounted British troops chasing down and slaughtering unarmed British citizens. That kind of remorseless cruelty should have made us sick. Instead, it played out like Shakespearean theater, stage swords and all. This was an important film to make. Its message resonates with everyone, in the western world and everywhere else. Corruption and income inequality are eating us alive. Workers’ rights diminish while vampire capitalism spreads like a disease. We need to know the history of this state of affairs if we are to move forward. It’s hard for me criticize my favorite film director. He’s had home runs as well as bunts, but this one was too important to whiff.